Alberta carpet manufactured from 100% polyamide, the pile is longer, offering a feeling warmer. It is available in various colors and sizes are customized. Aster, is a wear-resistant and easy to install vinyl tissue.Available in three formats: Roll, tile and decking.In addition, it can be applied in a non-slip treatment. COCO Doormat Quality: Coconut Fiber height: - Natural coco 17 mm / 20 mm - Coco color 20mm Weight: 4000gr m2 Custom sizes (up to 2m wide) Size of 2m wide roll. Machine-made technique Maintenance: Vacuum Cleaner Round doormat accepted. Gaborne carpet is made from pure new wool, is an extremely durable and suitable carpet for contract projects and residential applications. Carpet made from polyamide. The best advantage of Nayeli carpet is the durability of the fiber even in extreme conditions. This makes it the perfect choice for areas where high resistance is needed. PZ Doormat Quality: 100% nylon height: 9 mm Weight: 3000gr m2 Custom sizes (up to 2m wide) Size of 2m wide roll. Machine-made technique Maintenance: Vacuum Cleaner Round doormat accepted. Yarns of the vinyl has been generated from vegetal components.Violet collection has an antimicrobial protection that works continuously for the lifetime of the product to inhibit the growth of stain and odor causing bacteria, mold and mildew. Violeta - R is a reinterpretation of Violeta - BA model and combines innovative practicality with a serene Asian sensibility. This hardworking weave has a natural feel that will complement and enhance a wide range of interiors from traditional to contemporary. 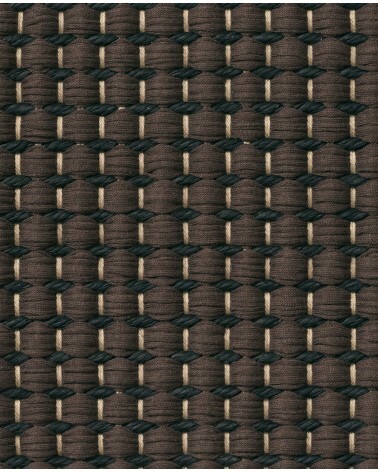 Violeta - RB is a chunky, textural weave of flat, dry colors that has a surprisingly natural feel for a synthetic material. It is a vinyl created from a sequence of 9 individual colors to create multicolor stripes. The yarns has been generated from vegetal components, and this vinyl also has an antimicrobial protection.